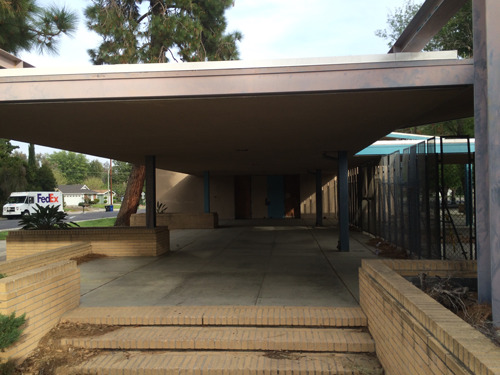 The Los Angeles Unified School District will host a community meeting on the pending demolition of Highlander Road Elementary School. at 6 p.m. on Thursday, Aug. 11, at Haynes Charter for Enriched Studies, 6624 Lockhurst Drive in West Hills. The meeting will address details about the demolition,as well as safety measures and future uses for the site. Questions from the community are welcome. I heard the Highlander Road School is coming down. I live across the street from the site and am worried about contaminants released during demolition and what will be left behind as a very large empty lot. Is this something that can be addressed by the Neighborhood Council? You are asking a valid and complex question. We, the WHNC, have approached excavation firms to ask this question and their responses have been the same: They spray water over the soil as it is being disturbed. They say this process is sufficient to keep the dust down. The spraying only occurs during working hours, so it could be possible that dust can be blown off of the disturbed areas during the off hours. At a Santa Susana Field Laboratory Community Advisory Group (CAG) meeting a few months ago, an engineer with many years of experience in grading, excavation and contouring said there is always dust escaping from an excavation site and spraying is only partially effective. The Environment Committee of the WHNC has approached the Air Quality Management District, the Health Department, the state Department of Toxic Substances Control and Councilmember Mitchell Englander’s office to request air sampling at excavation sites, including Dayton Canyon and the Fallbrook project ,and we have not received any information or direction from any of these organizations. Our committee is now putting together a list of materials to be included in air sampling and have contacted the firm that did air sampling at Porter Ranch to help us develop our plan of action. Please check back and we will report as we keep working. Alec Uzemeck and Steve Randall are co-chairs of the West Hills Neighborhood Council’s Environment Committee.